Our Clubhouse and associated facilities provide an excellent opportunity for local businesses and individuals to hire a fantastic venue for a reasonable price. We can arrange most services too, just ask! The Sedgemoor Suite is a large, bright room offering plenty of space whatever your conference, seminar or business meeting needs, we can arrange and coordinate everything and ensure that it is a resounding success. 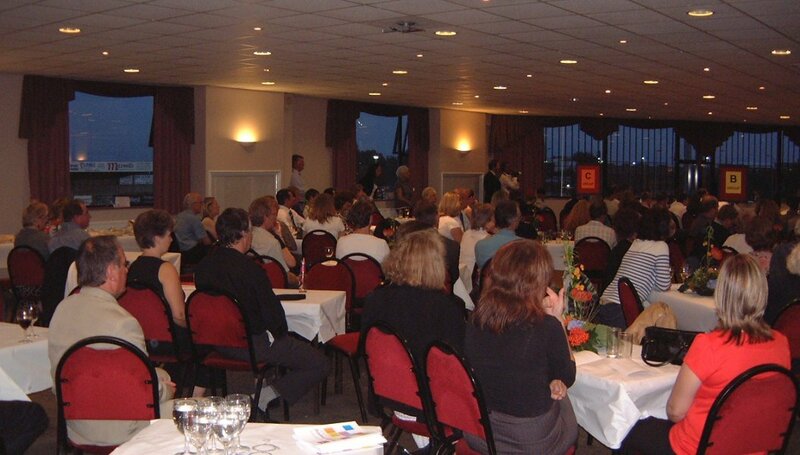 Seating up to 250 delegates it is the ideal venue to hold your event. The Quantock Room is the smallest of our meeting rooms offering the perfect space for board meetings or small seminars. This smaller room can be hired as a ‘break-out’ space when using the Sedgemoor Suite. The experienced events team is dedicated to ensuring that you, our customer and your delegates receive the support, space and professionalism needed to make sure that your event runs to plan. We continually receive great feedback from our guests about the food we serve and the quality of service we provide. The Maxwell’s Lounge offers comfortable surroundings which can easily accommodate up to around 60 delegates seated theatre style or up to 30 delegates board room or group work style. We can help you organise your entire event or just a part of it – always with complete attention to detail. With vast experience of managing many varied and different conferences, provide a creative, original and value for money approach that will ensure the success of your next event. Working to your agreed specification we will support you with any or every part of the event plans. Our experienced Events Team are on hand to arrange room layouts, audio / visual equipment and ensure that your refreshments and catering requirements are on time and fit with your schedule. Fresh cold meat salad platters, dressed mixed salad, coleslaw, vegetarian quiche, hot buttered new potatoes, baskets of bread rolls and butter.